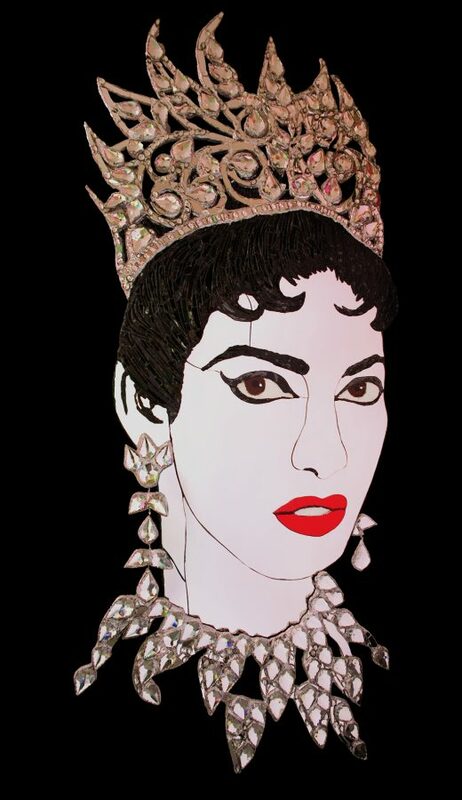 A 2007 wall piece portrait of legendary the opera singer, Maria Callas, in the Franco Zeffirelli production of “Tosca” at the Covent Garden Opera House, which is often regarded as her signature role. The piece was sponsored by Swarovski. has captured a vivid, mid-performance moment from an iconic production of the Western operatic repertoire, and one of the great operatic Divas, in a superb piece of visual theatre. Made of glass, glitter, Swarovski crystals, wood, aluminium sheet, and resin. & Textile Museum” (6 February – 3 May 2015) in the museum foyer.